uke. Yoda. Lando Goddamn Calrissian. Star Wars is home to some of the most memorable characters in film history, and also some of the best film editing. While taking years to master, great film editing can give your characters life, making us visually feel their wants and desires. Using moments from The Empire Strikes Back, we’ll show you three simple film editing techniques that’ll make your characters resonate on screen. You don’t have to have the best film editing software to make your audience feel the force. Eyes are the window to the soul, even if your soul belongs to the dark side. Remember when Han Solo’s frozen in carbonite? As he’s lowered into the freezing chamber, music swells the editors cut between the eyes of all the characters. Han. Leia. Lando. Chewy. Vader. Without a word of dialogue, we know exactly how each character feels. The editor takes what could have been over-explained in dialogue into fifteen seconds of movie magic. Editing film should always serve your characters and/or Wookies. An abrupt cut can make us feel a character’s sudden realization, while a long take can give us intensity or a longing. 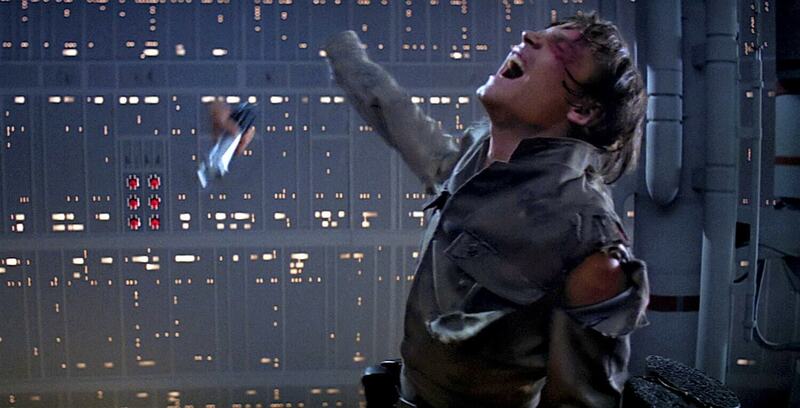 When Luke finds out his father literally just cut off his hand, editors opt for long takes of Luke. By not cutting away, editors make us feel the gravitas of Luke’s world going up in flames. Where the character ends, film editing usually begins. Our eyes can register a lot in a little amount of time. Playing with shot length can give a scene it's very own climax. When Luke tries to lift the flooded X-Wing with the power of the force, the film editors use the power of timing. As the music swells, the shots get quicker and quicker making us believe he can actually do it. But when Luke eventually fails, the shots get longer and longer, emphasizing the climax of the scene. You have to ask yourself: 30 frames vs. 30 Seconds. It’s up to you to feel out how much your story. Why film editing jobs are hard to come by? Beginning a new project can definitely feel overwhelming, but once you dig into the footage you will begin to piece things together fluidly. As is the case with Star Wars, some carefully used film editing techniques can lend your story heart as each scene pushes your story forward and becomes a galaxy* of possibilities. For help designing your galaxy? You may need to find a skilled storyboard artist. A great storyboard not only excites talent, crew, and clients, but also aligns your production departments behind the vision. We’ve compiled our top 8 websites to help you find and hire a talented storyboard artist.